La Torre del Oro in Sevilla right by the Guadalquivir river | Photo: Ana Laya. Let’s start by saying that all of Andalusia is amazing. I’ve just started discovering this part of Spain, the wonderful south, and I’m absolutely in love. 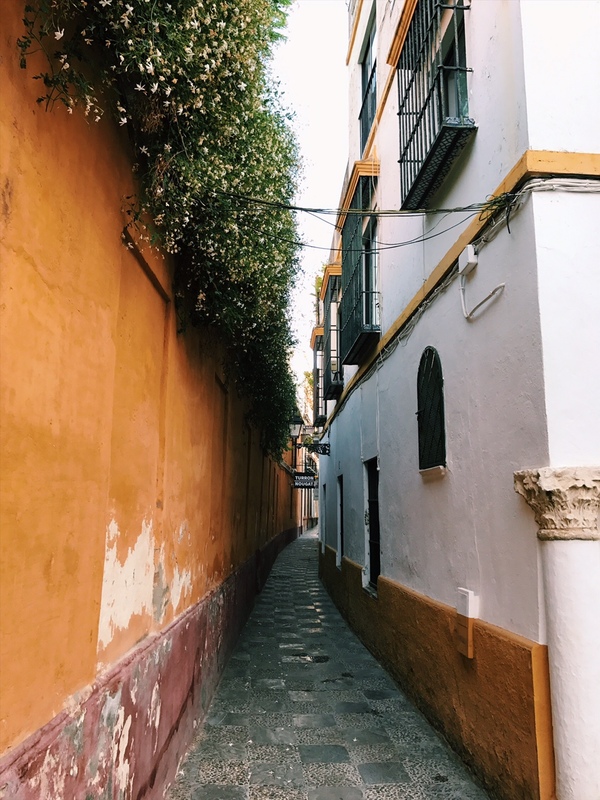 One of the most iconic cities in Andalusia is of course Sevilla, the walled city with a very rich history and architectural heritage and place of birth of flamenco. 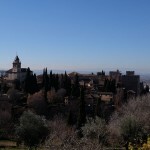 Traveling to Sevilla is recommendable at any time except July and August, unless you’re really really into hot weather. Really hot weather. There are two massive celebrations in Sevilla, Holy Week and La Feria de Abril. If you’re visiting in those dates is better to book your flights/trains/hotels in advance. I only spend there a couple of days, but I didn’t stop and I came back home absolutely inspired and wanting to discover (and eat!) more. Sevilla definitely has a very special colour! Edited & illustrated by Ana Laya. Remember the World Expo Sevilla 92? Well, around that area is where everything took place. It’s a bit of a ghost town, a weird one that look like a future city of the 80’s… but that has a strange charm and the local government is actively trying of recovering the place, so go ahead and have a look at the new re-purposed pavilions. Lovely roofs over the Barrio Santa Cruz. 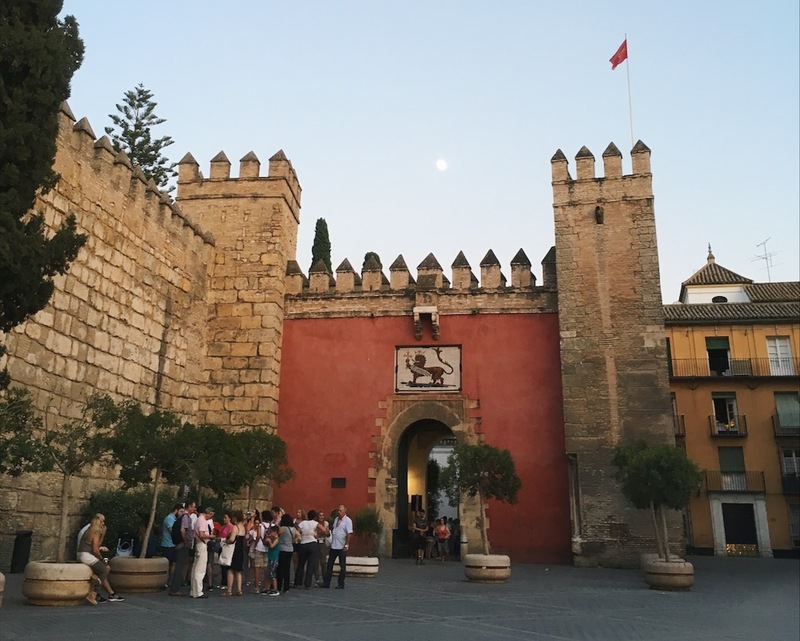 This walled area around the city center is ideal to stay if you only have one weekend and you don’t want to miss a thing. You’ll be really close to everything but as this tiny streets are like a labyrinth you’ll still have the chance to get lost and discover some secret squares, corners and lovely places. 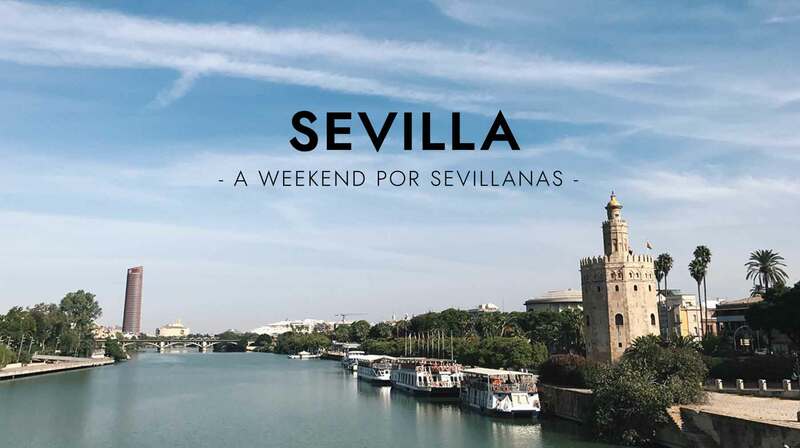 Visiting the ‘Setas de Sevilla‘ is a must, this is a sculptural wooden structure, highly instagrammable (yes, being instagrammable is now a thing, don’t pretend to be surprised) with an archaeological museum, rooftop walkway & viewpoint. 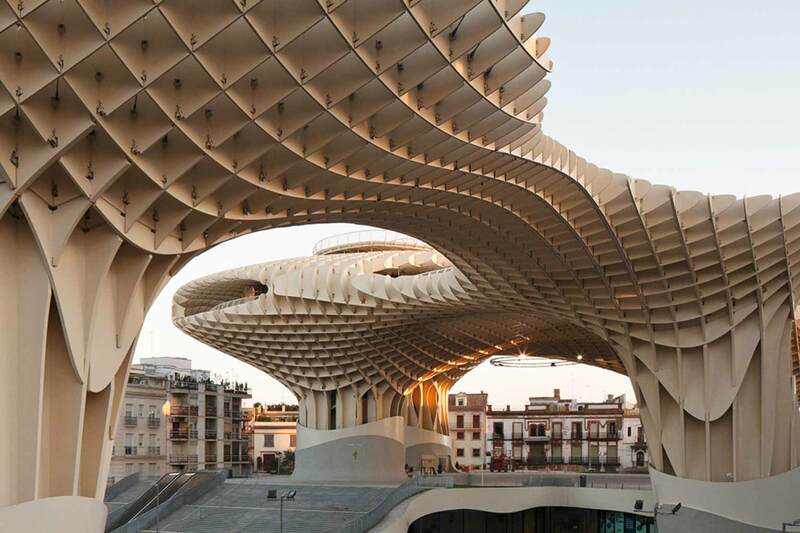 It also know as Metropol Parasol and it was designed by Jürgen Mayer. Also in this neighborhood there’s the Flamenco Dance Museum, an 18th-century building housing museum detailing flamenco dancing history & culture that also hosts live shows. You ride around the María Luisa Park in this lovely carriages. Also right by the Alcázar and La Giralda. Actually there are a lot of horses around Sevilla city center. 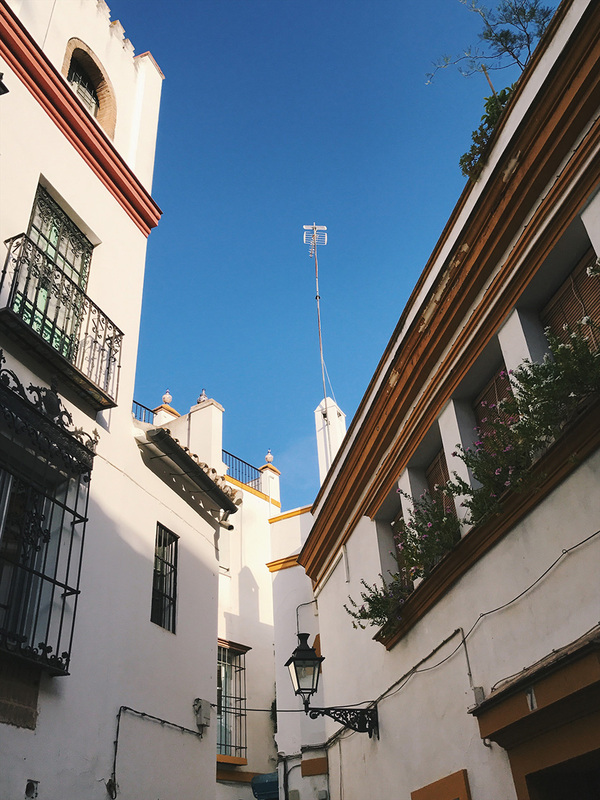 This neighborhood is where flamenco was born and where you can enjoy it whether it is in small ‘tablaos’ or fancier shows. I prefer the first ones. Also, all along Calle Betis you have all sort of bars for every possible taste for a cocktail overlooking the lovely Guadalquivir river. 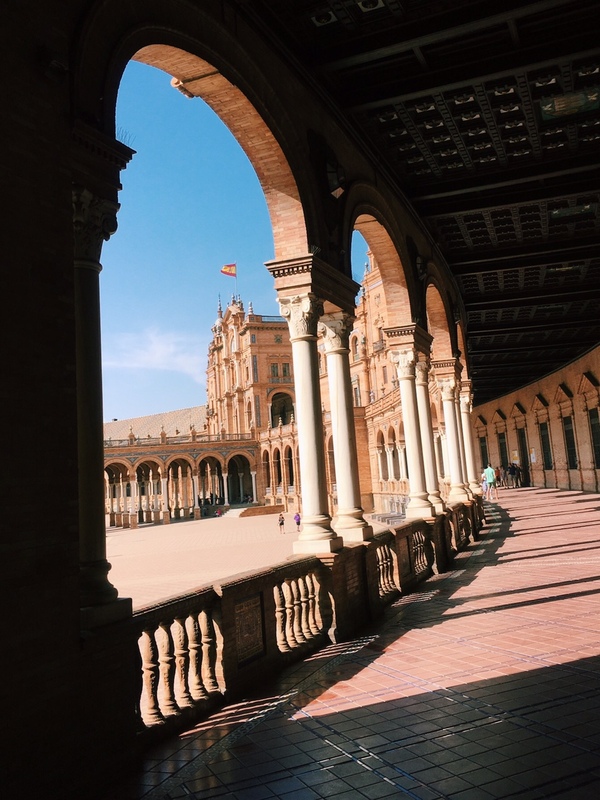 This palace was originally developed by Moorish Muslim kings around the 11th and the 16th century and it’s an acrchitectural and it is one of the most outstanding examples of mudéjar architecture found on the Iberian Peninsula. It was named a World Heritage Site by UNESCO back in 1987 and in the popular culture is famous for being Dorne, the Palace where the Martells (used to) live in Game of Thrones. This wonder right here is the Real Alcázar on an almost full moon night. In one word: great. It’s not a tourist trap, actually while I was there I was the only tourist. Their menu is filled with nice traditional yet innovative dishes to be enjoyed at a great price right off Santa Cruz neighbourhood. Off the menu they have an ajoblanco that is an absolute must. This lovely public park is Sevilla’s principal green area. The park was the site of the Expo 29, which had the magnificent sun-drenched Plaza de España (another Game of Thrones location) as its centrepiece. That square is absolutely stunning, it will take you on a trip in time. The park is very large, so even if it’s crowded it won’t feel that way. 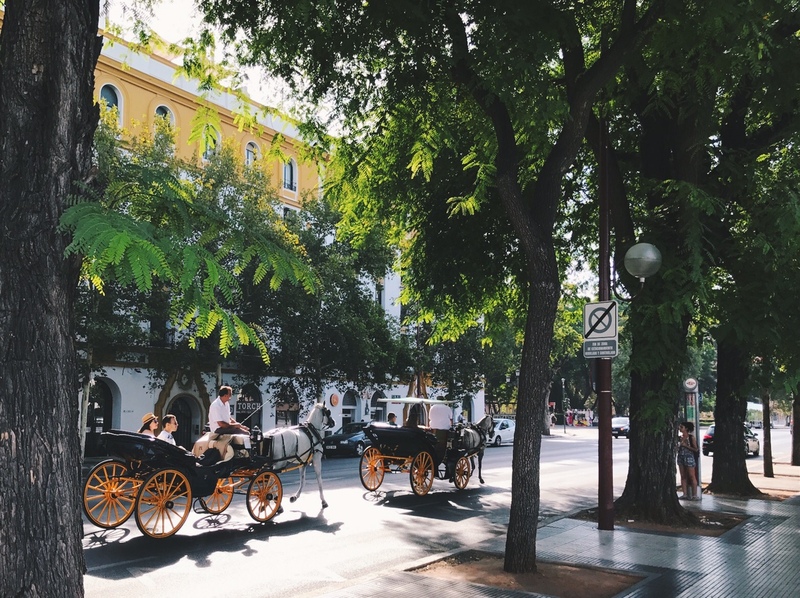 As the Andalucía website higlights: “it is a delightful place for a quiet stroll, a kids’ runabout, or romantic horse-and-carriage or boat ride”. The most relevant of its squares are the poet’s Gustavo Adolfo Bécquer, the Hermanos Quintero and the one dedicated to the Infanta María Luisa herself. There are many fountains but defintely my favourite one is the Frogs fountain, it’s delicate and fun and very Andalusian. Finally its most famous pools are the Lotus and Duck pools, worth visiting all year long, but mandatory during summertime. Stay hydrated and be super careful because temperatures can reach high values. Plaza España, a great structure that shows mosaic compositions of all the provinces of Spain. 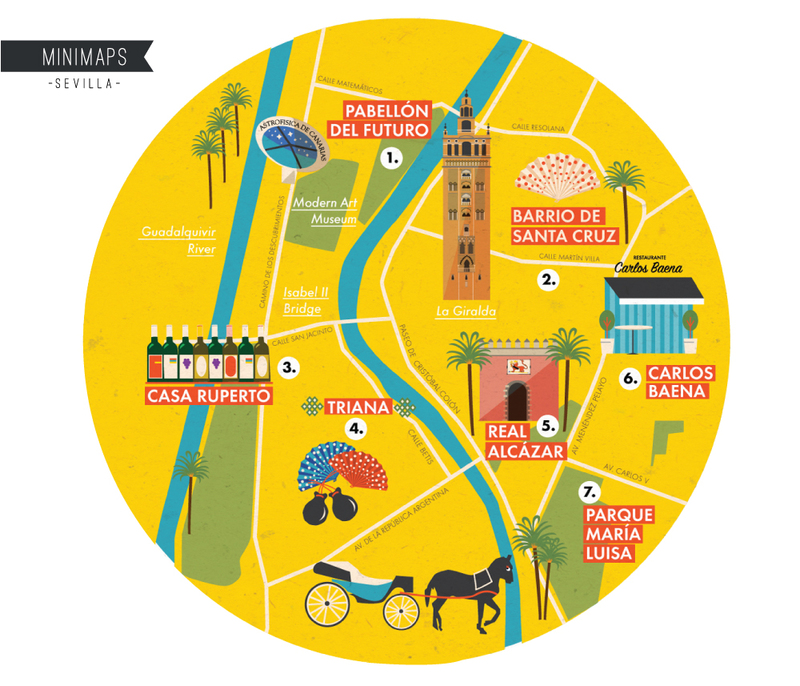 Ready for a really great weekend in lovely Sevilla? Lovely allies of the Barrio Santa Cruz.